Your office equipment contributes to and improves the daily work in the office. What kind of service do you use when it comes to equipment repairs, techinical difficulties and even the basic maintenance to keep your equipment running smoothly for as long as possible? 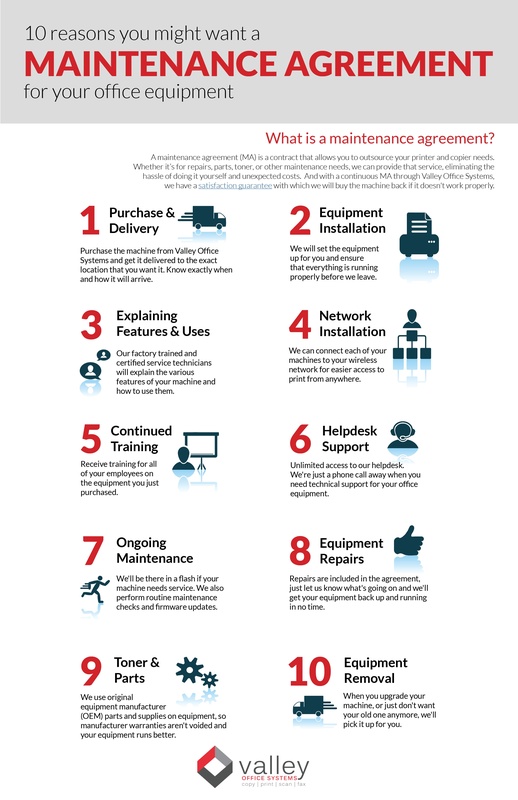 Find out why a maintenance agreement might be a good idea for your office equipment.